Another scheduled post for you; today I’ll be having my bandage lenses removed at Optimax.. yay! Recently interiors and homeware has become one of my favourite things to blog about (despite not having a place of my own!) so here is another homely post. My dressing room generally has quite a basic colour scheme as it has all white furniture and duck egg blue walls and accessories, which I do love, but the room now has a new addition.. 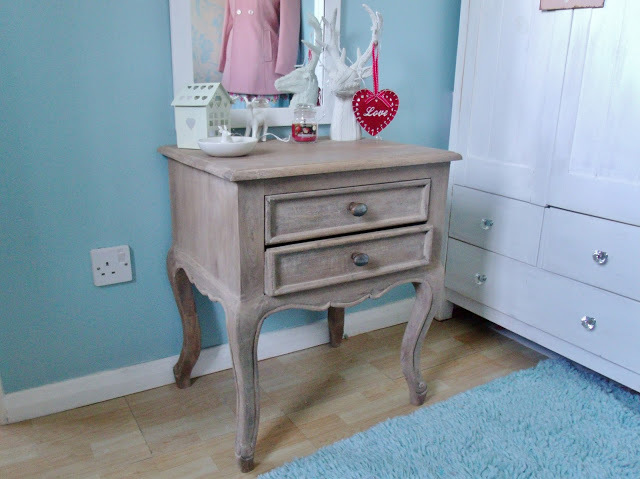 I was asked by Out There Interiors to style up an item as part of their #MyCountryStyle project and I chose this lovely French style wooden side table. I thought it would look great in my dressing room underneath the long length mirror and it fits in like a dream! 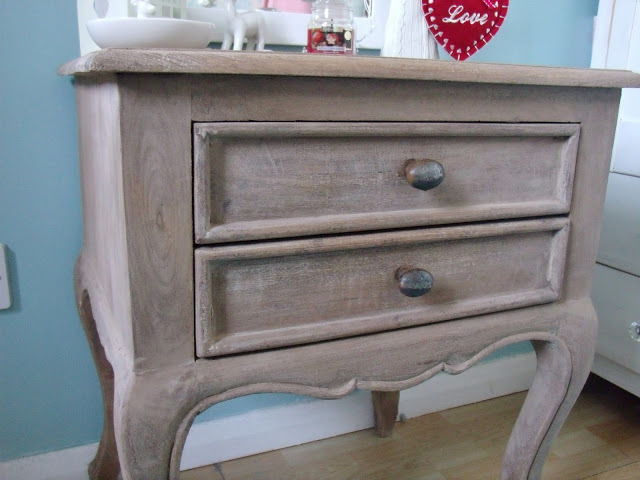 It’s made from really good quality wood and it has been sanded down so it’s beautifully smooth. The table has two little drawers which are actually much bigger than they appear from the outside as they’re quite deep. I’m going to use the drawers to store some of my candles in! 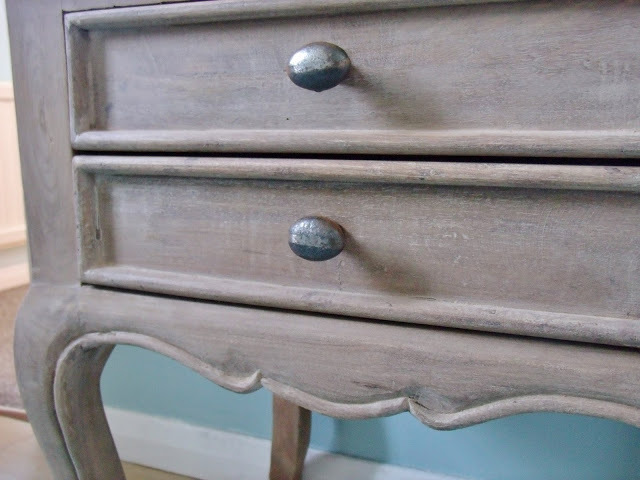 I love the carved detail in the wood and the solid metal drawer knobs; the whole piece is such excellent quality. 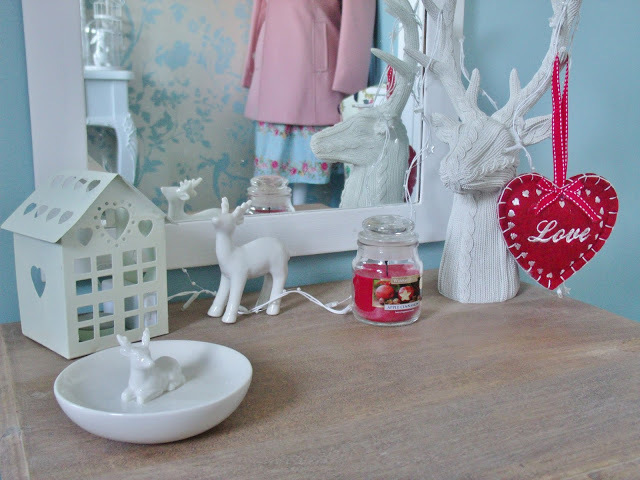 For my country style theme I thought I would make it a little bit festive and therefore a few of my Christmassy decorations have come out! The cable-knit stag head I actually have out all year round; I bought it from Asda last winter (but it’s still available online.. quick! ), and I think it makes a good focal point for #MyCountryStyle project. 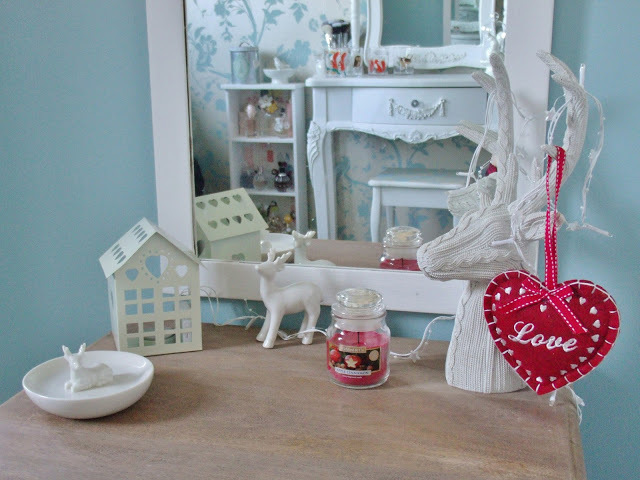 I also accessorised with some other white coloured decorations including a ceramic deer, a stag jewellery holder, and a little cottage tealight holder. 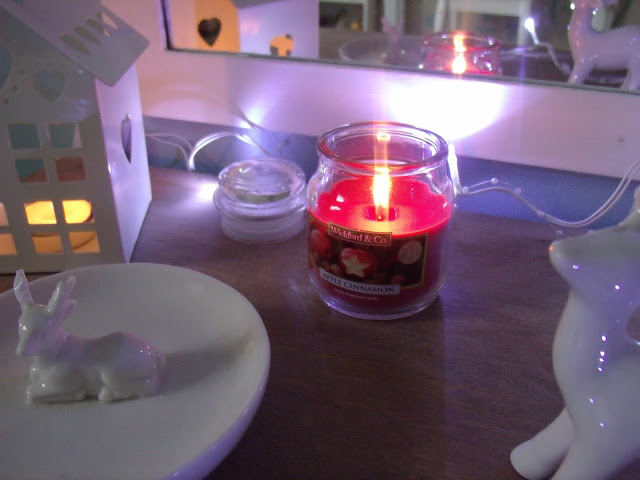 I also love this little apple cinnamon scented jar candle which although originally I bought for decorative purposes (it was 69p from Home Bargains) it actually smells lovely and Christmassy! 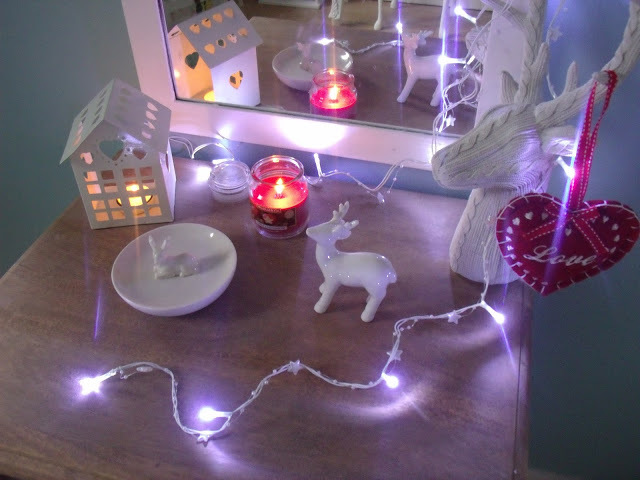 And the final festive touch is of course.. some pretty battery powered fairy lights which I picked up in Poundland. Not long until Santa now!